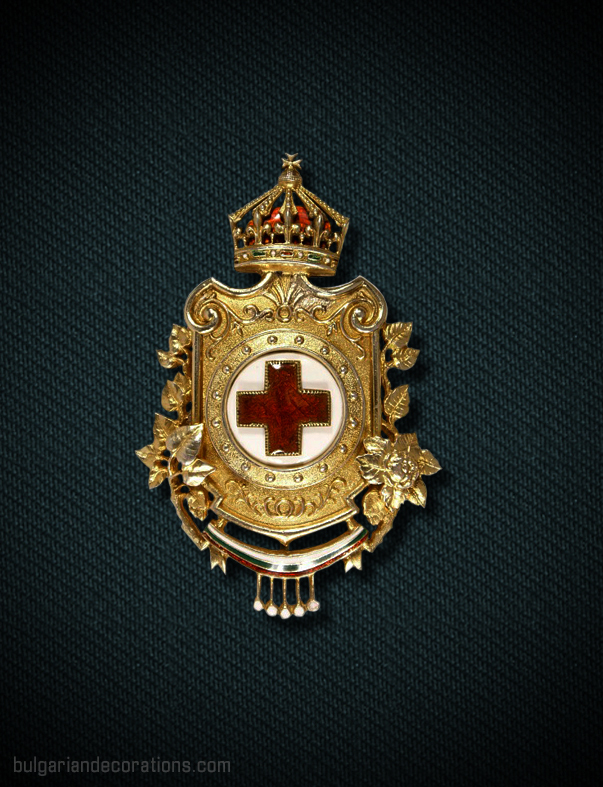 The Red Cross honour badge has been founded by the first Bulgarian monarch of the Third Kingdom – Alexander I. 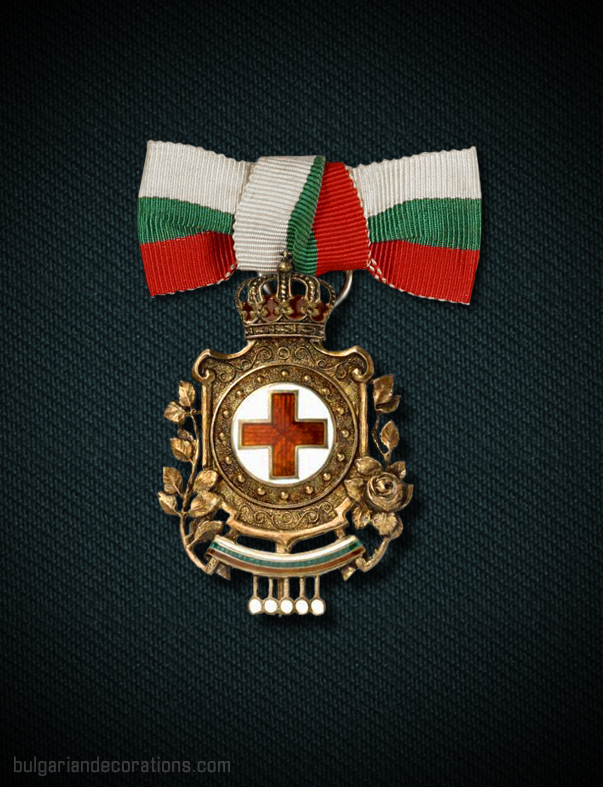 Its designation was to represent a form of official recognition for the people who helped the army and the Bulgarian Red Cross society during the battles of the Serbo-Bulgarian war of late 1885. 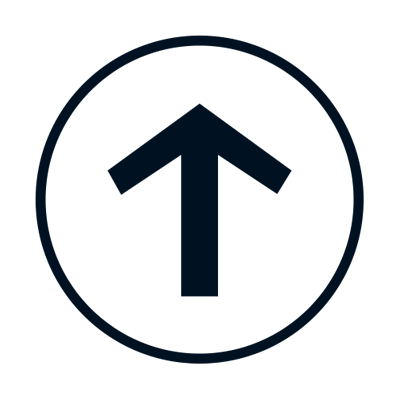 The badge was founded as a wartime decoration - something which has been amended later. 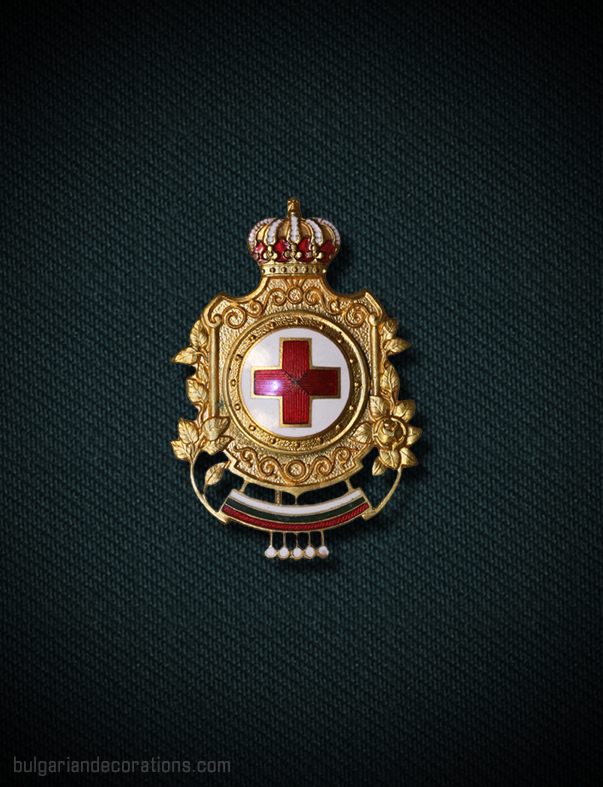 The founder of the award, Prince Alexander I, has delegated the decorations of Bulgarians to the board of the Red Cross society itself, while the awarding of foreign nationals was kept as a royal privilege. 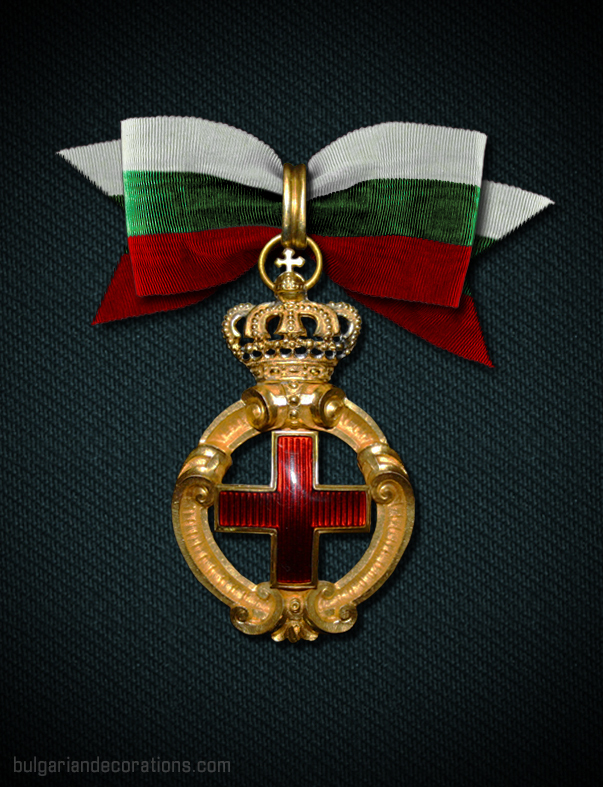 Unfortunately for the young Bulgarian monarch though, he was unable to make a single decoration, due to the fact that he was forced to abdicate soon after the initiation of the badge. Nevertheless, the first type of the badge has been labelled ‘Battenberg issue’. His successor though, Prince Ferdinand I, started decorating the honour badge soon after His accession to the throne in August 1887. The first person ever decorated with this high distinction was the British Queen Victoria who has been presented with a unique specimen made of solid gold. 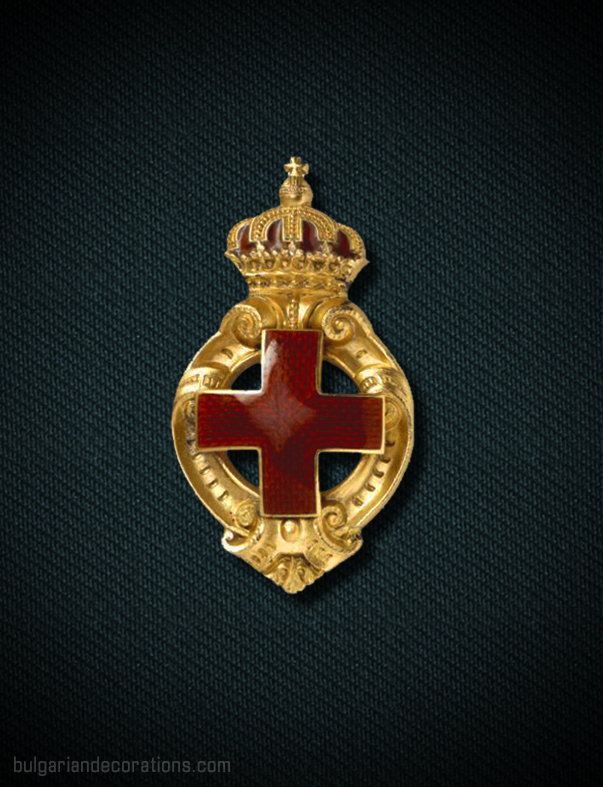 In 1908 the statute of the badge has been amended and since then, it could be awarded for peacetime merits, too. 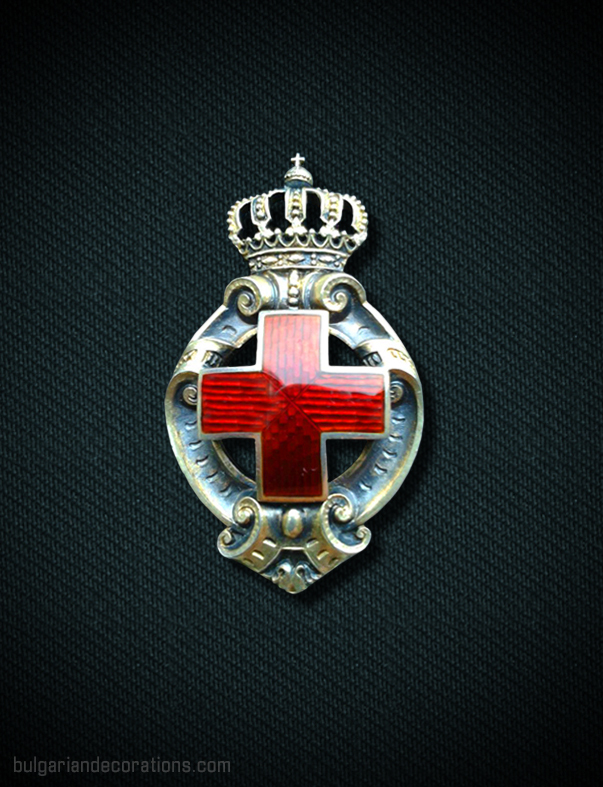 On 5th/18th April that same year, a second type of Red Cross badge has been established, predominantly (but not only) intended for decorating ladies, for their merits in regard to the activities of the Society. 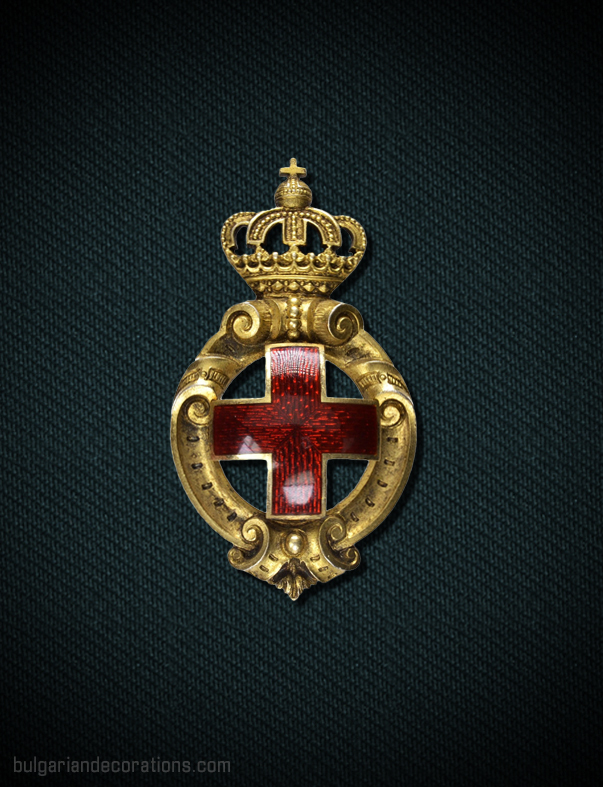 Due to the different sizes and design of the two badges, the first one was labelled 1st class, while the latter – 2nd class. Honour badges have multiple variations and there’s no clear distinctions between the various issues today. 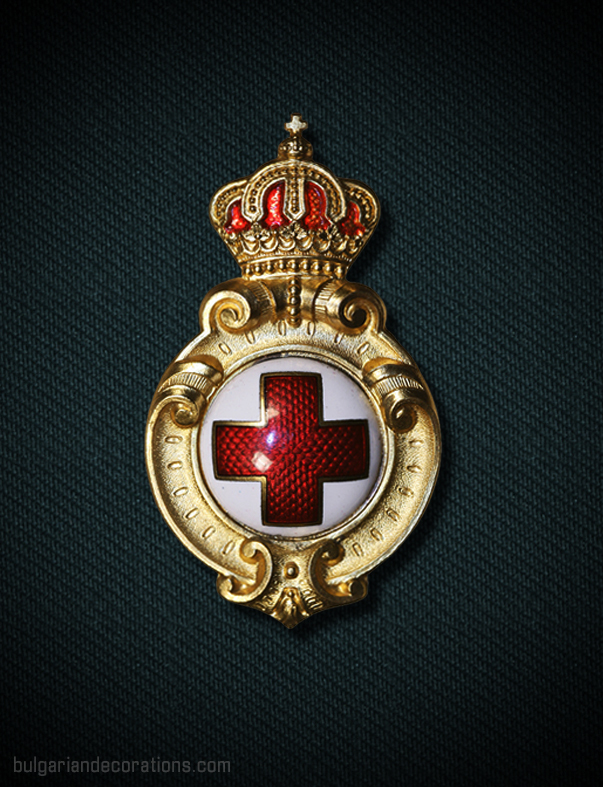 Additionally, the Red Cross badges can be worn at least in three different ways – directly pinned on the left breast, pinned on the left breast with a rosette shaped ribbon placed behind the badge, or worn suspended from a ribbon on the left tab (or shoulder for women). The materials also differed. Some badges were made of solid silver and then gilded, others – of gilded bronze, while the rest were made of yellowish metal alloy. They were manufactured in Austro-Hungary and Germany and later in Bulgaria itself. 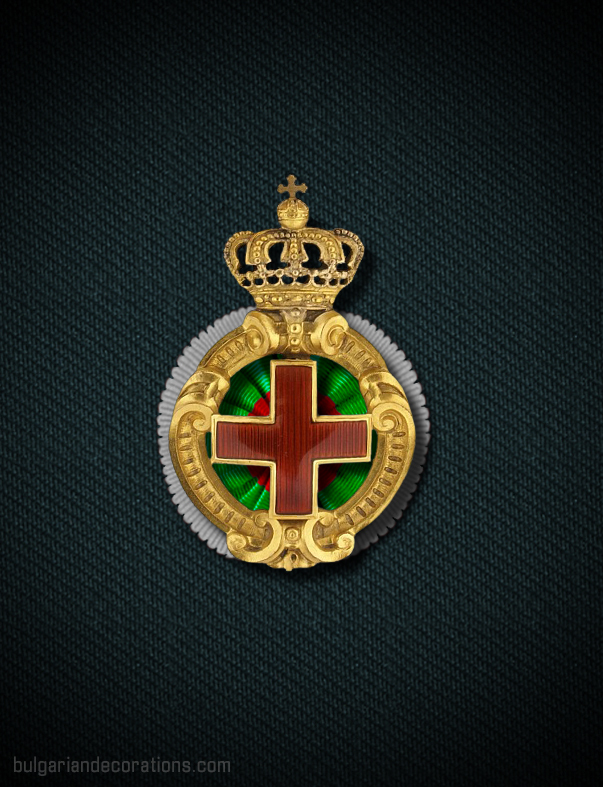 In the late stages of the Great war, a slightly amended design of the grand badge has been produced, featuring a Bulgarian crown instead of the Hessen one, but this type has never been officially introduced. We can assume that the few examples of this kind were only trial samples, or only intended for a limited number of decorations.